The Meeting of the Parties to the Montreal Protocol (MOP) on “Substances that Deplete the Ozone Layer” is debating the switch over to cleaner alternatives even though talks on subsidies and time frame are still not clear. Hydrofluorocarbons (HFCs) were introduced as a substitute to Ozone-depleting Substances and do not harm the ozone layer. But as HFCs cause global warming, they have the potential to cause climate change if not properly managed. The last two are important for the penetration and acceptability of the proposed new technology, which will be accepted, after HFCs are phased out. The morning plenary session on Monday was open for only a brief period and discussed the previous day’s agenda. The contact group meeting started at 11.45 am on Monday with Saudi Arabia nominating a representative from China to be the co-convener. It was quoted by many developing countries that the challenges had been debated and discussed over years and concerns of the parties and solutions need to be discussed now. Argentina, Brazil, Kuwait and India did not like the fact that the challenges were not being addressed in the midst of finding solutions. Some of the major points touched upon by the A5 countries included technology, availability of alternatives to HFCs, funding mechanisms, exemptions under special circumstances, flexibility with scheduling phase down and capacity building requirements. Many developing countries said they wanted to leapfrog the chemical treadmill followed in the developed countries and move to natural alternatives. 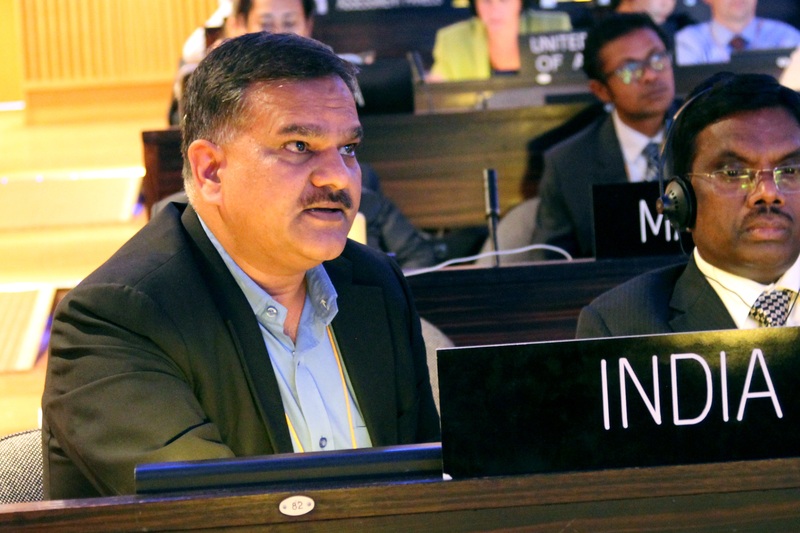 Manoj Kumar Singh, joint secretary, Ministry of Environment, Forests and Climate Change, emphasised on 20 challenges put forward in the Indian proposal for amendment to the Montreal Protocol and one by one mentioned the challenges being faced by the developing countries. He said that these countries were being forced by the executive committee of the Montreal Protocol to switch over to a particular technology. Only after the delegate from Argentina made a comment that it looked like developing countries had all the challenges and the developed countries had only the solutions, many developed countries raised the flag to talk about challenges out of embarrassment. Most developed countries said their biggest challenges were not having trained technicians and having capacity-building programmes on new technologies. For arriving at solutions, they repeated the standard answer of how the developing countries have the grace period before switching over to alternatives. They also said funding would follow the same tested route through multi-lateral funds and the executive committee. However, the developing countries think this is not sufficient. The day ended with the co-convener suggesting that they come up with a draft of the day’s proceedings, noting down the challenges and solutions for continuing discussion in a more structured way. However, Argentina, Kuwait and India opposed it as these challenges had been discussed a number of times and no new solutions were proposed by the developed parties. They suggested that the co-convener should wait a day or two till all challenges and solutions were discussed.